White sheer embroidered organza with cross and heart design lined with china silk is a perfect bonnet for baby's special christening day. Adjustable back ribbon casing with lace and floral satin ribbon ties. Available in white only in a variety of sizes. 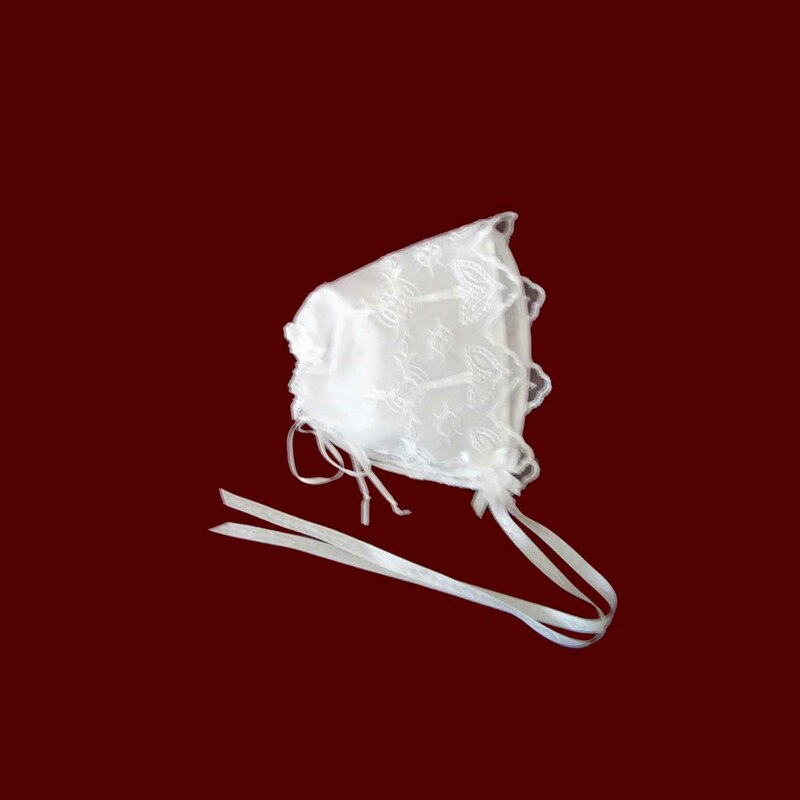 Optional cotton liner provides a barrier to the oils used during the christening ceremony attachs with Velcro. Irish accents are available on all items on this website.